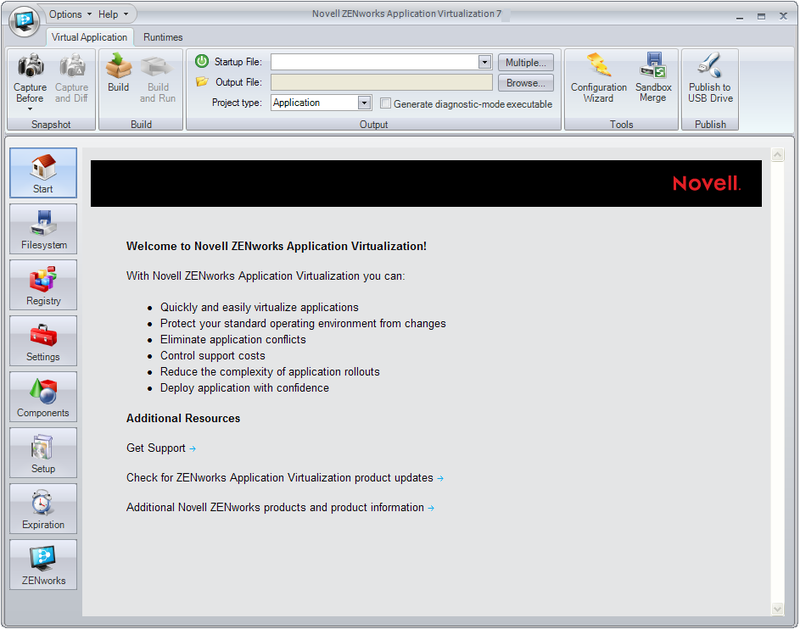 The section contains step-by-step information to help you use Novell® ZENworks® Application Virtualization to prepare Novell GroupWise® Messenger to run as a virtual application. You can prepare a clean machine by uninstalling GroupWise Messenger. However, we recommend that you start the process on a machine that has only the desired Windows OS, any applicable OS service packs, and ZENworks Application Virtualization installed. Starting with a machine that includes only these items helps to ensure that your virtual application does not contain settings that might cause conflicts. This process captures the first snapshot image. Snapshotting iterates through the file system and registry, and therefore might take several minutes to complete. Install GroupWise Messenger on the clean machine. For installation instructions, see the GroupWise Documentation Web site. Depending on the version of GroupWise Messenger that you want to deploy in your environment, click the appropriate link, then locate and display the Installation Guide. From the Startup File drop-down list, select the GroupWise Messenger executable file (NMCL32.exe). Users must authenticate to the GroupWise Messenger system after they launch the virtual application.